Tell that to the dozens of families who have been forced to evacuate their homes in Florida thanks to outgassing of drywall allegedly imported from China during the home building boom. Residents of these homes talked about a foul rotten-egg smell in rooms built with this drywall and, worse, whatever is causing the smell is also corroding metal in the homes: wiring, air conditioning coils, faucets, even table lamps. Testing agencies have tentatively identified the smell as being sulfur dioxide, a toxic gas which can cause breathing disorders and be potentially fatal to those already suffering from asthma. The chemical is also consistent with the metal corrosion found in these houses. Over 300 million square feet of this drywall was imported to the US and may be installed in as many as 100,000 homes and renovations constructed since 2001. Most of this drywall apparently ended up in the south, mainly in Florida, where the heat and humidity aggravates the outgassing. The federal government is taking this seriously enough that it's alleged President Obama fired his legacy chairperson of the Consumer Product Safety Commission, Nancy Nord, over the controversy. What strikes me about some of the photos I've seen, like this one, is how quickly metal is being corroded by the sulfur dioxide fumes. I've worked with chemicals like muriatic acid (dilute hydrochloric acid) and know what those fumes can do to unprotected metal. It rusted my new hammer across the room in literally two hours. It's scary to think what it could do the wiring inside a wall. 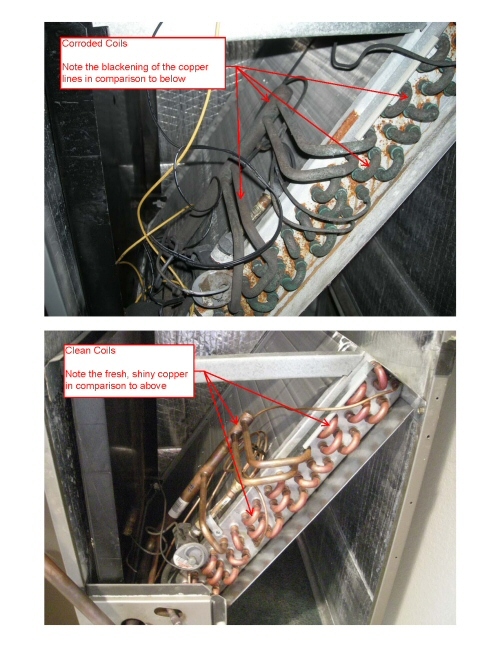 Corrosion creates resistance and resistance creates heat, especially at fixture connections and pigtails. So there's potentially a third danger with it: fire. And, if I recall correctly, sulfur dioxide is itself highly flammable. My unanswered question is why this Chinese drywall is outgassing sulfur dioxide. Testing agencies have found at least three sulfur products besides gypsum (calcium sulfate) in it. Perhaps it's used as a foaming agent to make the slurry? Who knows? There's a central information clearinghouse set up for it at http://www.chinesedrywall.com/.